Utenov Yessen Sydanovich, 30.05.1951 y. Position: Professor, Doctor of Technical Sciences. Education:1968-1973 – graduated with honors from the Karaganda Polytechnic Institute with a degree in Industrial and Civil Engineering. Qualifications: engineer – builder, doctor of technical sciences in the specialty “Foundations and foundations, underground structures”, professor in the specialty “Construction”. 2015 – and to the present – Professor of the Department “Building materials and technologies” KSTU. 2011 – held a research internship at the Faculty of Civil Engineering and Modeling of Operating Conditions, Incheon University (Republic of Korea). Soil mechanics, Foundations and foundations; Engineering surveys for construction; Research methodology; Engineering geology; geotechnics in Russian and Kazakh languages. Main activities: Development of foundations with an adaptive effect and improvement of methods for calculating the soils of the foundations of buildings. Author of more than 170 scientific and educational publications in Kazakh, Russian and English (including 7 textbooks, 2 monographs, 5 inventions, 3 republican building codes). He prepared 1 doctor of science, 1 candidate of science and more than 30 masters of science. Өтенов Е.С. Геотехника негіздері 1-бөлім; топырақ механикасы: Оқу құралы / ҚарМТУ. – Қарағанды: ҚарМТУ баспасы, 2007. – 161б. Өтенов Е.С. Геотехника негіздері 2-бөлім; іргетастар және негіздер: Оқу құралы / ҚарМТУ. – Қарағанды: ҚарМТУ баспасы, 2010. – 128б. Y. Utenov., Zh. Nuguziinov. Ecological safety increase in living buildings. 6th International Geotechnical Symposium on Disaster Mitigation in Spesial Geoenvironmental Conditions, January 21-23, 2015, Indian Institute of Technology, Madras, Chennai, India. Утенов Е.С., Жусупбеков А.Ж., Сотников С.Н., Мухамеджанова А.Т., Калданова Б.О. Исследование взаимного влияния соседних фундаментов реконструируемых зданий.Научно-техническийжурнал «Основания, фундаментыимеханикагрунтов». Москва, №1, 2017. State awards, title – Awarded with Certificate of Honor, Letter of Gratitude from the Ministry of Education and Science of the Republic of Kazakhstan, medal badges “The best teacher of the university” and “Honorary builder of the Republic of Kazakhstan”, international medal to them. Academician Aitaliev Sh.M., his name is entered in the Book of Honor of the construction industry of Kazakhstan. 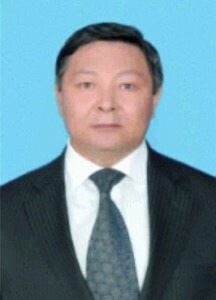 Doctor of Technical Sciences, Professor, Honorary Builder of Kazakhstan, member of the International Association of Soil Mechanics and Geotechnical Engineering (ISSMGE), member of the Kazakhstan Geotechnical Association, member of the Public Association “Kazakhstan Geosynthetic Society”, member of the Scientific Coordination Center “Safety, technical maintenance and reconstruction of buildings and facilities ”at the Agency of the Republic of Kazakhstan for C and housing and communal services of the Ministry of Regional Development of the Republic of Kazakhstan; Expert JSC “Science Foundation”. German – with a dictionary.